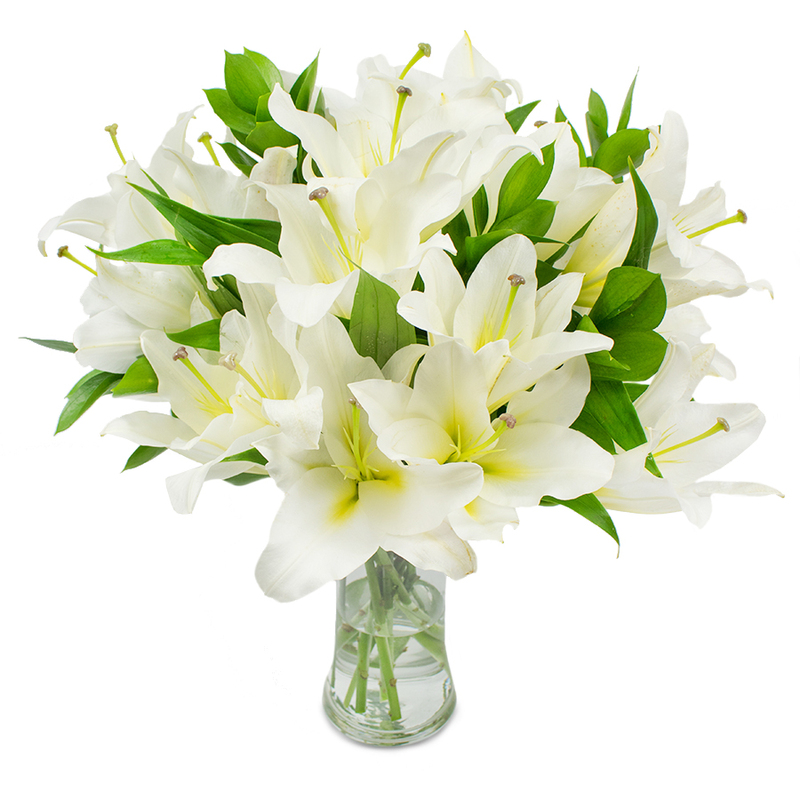 Choose a bouquet that conveys an unique message of admiration! This splendid arrangement is crafted of the most elegant white liliums and is a wonderful symbol of delicacy, purity and grace! Kept recommending this online flower shop after my engagement party flowers were delivered on the same day as the party. It was so last minute and our local florist was closed, so this company is a life saver for me! The birthday bouquet was resplendent in every sense of the word! So happy I found your site to order from. The flowers were gorgeous! The bouquet was gorgeous. All of the lilies were very beautiful and fragrant. The delivery was made at a convenient time for me. Top-notch florists in the UK. Very delicate flowers! Enjoyed the fast delivery. Got this flowers as a thank you gift from my colleagues. They were delivered safely and made my celebration even more cheerful. Thank you dear team. Very elegant flower bouquet. My mum totally liked it and I'm really grateful. My girlfriend LOVED this bouquet! Thanks Handy Flowers! Very professional service!! !